WASHINGTON, DC -- Today, U.S. Rep. Harold "Hal" Rogers (KY-05) applauded an announcement by the U.S. Food and Drug Administration (FDA) Commissioner, Dr. Margaret "Peggy" Hamburg, that the federal agency will prevent the original, crushable Oxycontin from returning to U.S. markets without abuse-deterrent formulations. The original patent was set to expire today. In 2007, following a criminal conviction and nearly $700 million in fines for misleading labels and product claims, drug-maker Purdue Pharma removed the original Oxycontin from pharmacy shelves and replaced it with an abuse-deterrent formulation that is more difficult to crush for illicit use. With the original patent expiring, several other drug companies have been awaiting approval to put generic versions back on the market. "This is a huge win for our region and for the thousands of families who have seen painkillers become pain makers. The FDA undoubtedly saved our nation from another deadly tidal wave of oxycodone abuse and overdoses," said Rogers, Co-Chairman of the Congressional Caucus on Prescription Drug Abuse. "I commend Dr. Hamburg for leading the way and pressing forward to ensure that this original, deadly patent didn't expire without the mechanisms to significantly prevent abuse and misuse of these drugs. It is certainly a step in the right direction." 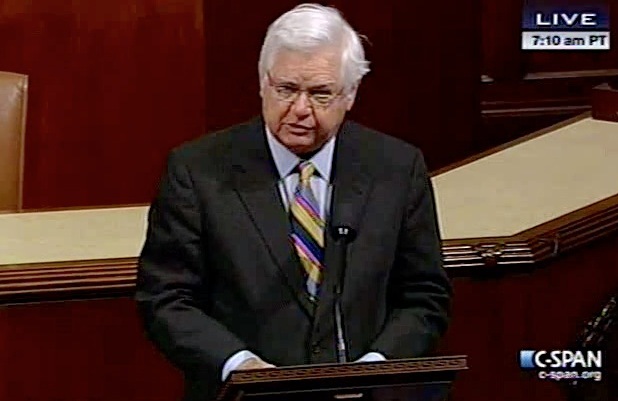 Earlier today, Congressman Rogers spoke on the floor of the U.S. House of Representatives urging the FDA and Dr. Hamburg to take immediate action on this issue. During the National Rx Drug Abuse Summit in Orlando, Florida April 2-4, 2013, Rogers and Dr. Hamburg spoke privately and publicly about the prescription drug abuse epidemic and their concerns for opioids that do not contain abuse-deterrent measures. Rogers told the nearly 1,000 Summit attendees that Congress was prepared to act if the FDA failed to do so. Four drug-related bills in the U.S. House include the Safe Prescribing Act (H.R. 1285), the Stop Oxy Abuse Act (H.R. 1366), the Stop Tampering of Prescription Pills (STOPP) Act (H.R. 486), and the Prescription Drug Abuse Prevention and Treatment Act (H.R. 672). The prescription drug abuse epidemic now claims more American lives than car crashes, prompting state and federal leaders, including the Congressional Caucus on Prescription Drug Abuse and 48 state Attorneys General to urge FDA action. On Monday, Rogers joined a bipartisan group of members in introducing H.Res. 161, expressing the Sense of the House of Representatives that the FDA should require generic versions of abuse-deterrent painkillers to use comparable abuse-deterrent features. In 2009, Rogers joined former Representative Mary Bono Mack to form the Congressional Caucus on Prescription Drug Abuse. Rogers has served Kentucky’s 5th Congressional District since 1981. With a focus on economic development, job creation, fighting illegal drugs and preserving Appalachia’s natural treasures, he has a reputation for listening to his constituents and fighting for the region he represents. For more information, visit http://halrogers.house.gov or follow Rogers on Twitter and Facebook.